Did you know that the current day DISC Personality System could in many ways be traced back to ancient history? Throughout time, philosophers have tried to identify what makes people act the way that they do and it always comes back to 4 separate quadrants, which have evolved throughout time. Let’s begin our DISC history with Ancient Greece. In ancient Greek, pre-Socratic philosophy, behavior was attributed to four external, environmental elements. Empedocles called these the four “roots” or elements. Known as the Four Temperaments from Hippocrates, and The Four Humors from Galen, these great medical minds believed that a balance of 4 bodily fluids was necessary to maintain health. What were previously external elements became bodily fluids (or humors), which affected our behaviors, but this time from internal influences. Phlegm/Phlegmatic was associated with the element water, representing calmness. Blood/Sanguine was associated with the element air, representing cheerfulness. Yellow Bile/choleric was associated with the element fire, representing enthusiasm. Black bile/Melancholic was associated with the element earth, representing being somber. One’s dominant humor was believed to have determined his or her personality type. From ancient elements and humors, we move forward in time to Carl Gustav Jung and the development of the Myers Briggs Type Indicator (MBTI). Still attributing personality to internal influences, Jung determined that our behavior is based on the way we think and process. He contributed much to the understanding of “type” behaviors, believing that individuals had a “Psychological Type” and that people vary by how they perceive things and make decisions. In 1921, Jung published the book, Psychological Types, identifying 4 ways in which we experience the world: Sensation, Intuition, Feeling and Thinking. William Moulton Marston graduated from doctoral studies at Harvard in the newly developing field of psychology. In his landmark book, Emotions of Normal People, published in 1928, Marston set out to examine observable “normal” behavior in a particular environment. He believed our personality styles are both natural, internal and innate, but also largely impacted by our particular environment at any given time. This combines the idea that we are impacted both internally AND externally, which affects our behaviors. For the most part, there are no pure styles, but all people share these four styles in varying degrees of intensity represented by graphs with a mid-line. These composite styles are known as personality style blends, each with their own characteristics, preferences, fears, strengths and limitations. In 1940, Walter Clark took Marston’s theories and developed the first DISC Personality Profile Report. 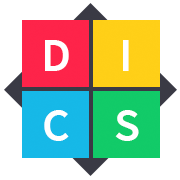 Fast forward in DISC history to the present, and this system has become known as the universal language of behavior because of its simplicity and sincerity. The language is easily learned, understood and administered by widespread audiences. Since it has been established, DISC has consistently proven to be a reliable and valid instrument. What’s your DISC personality style?